An influential figure in the development of Glasgow�s late Georgian and early Victorian architecture, he was born in Dalmuir, Dunbartonshire, the son of a Wright, and was the elder brother of architect Anthony Baird (practiced, 1834-5). At age 15, he trained as an architect with another relative, John Shepherd, of John Shepherd & Co., a firm of architects and property agents, at 636 Argyle Street, and in 1818, at the age of 20, he took over the business on Shepherd�s death. Working almost exclusively in the Classical style, with occasional forays into Gothic and Tudor, his buildings became known for their restraint and �delicacy of detail�, and he quickly established a reputation and business to rival those of David Hamilton , who dominated Glasgow�s architectural scene at the time. Greyfriars United Presbyterian Church, 186 Albion Street (1821, dem. 1960s); Wellington Church, Wellington Street (1823, dem. ); St. John�s Chapel of Ease, 598 Gallowgate (1823); Athole Place, 181-200 Bath Street (1833); Somerset Place, Sauchiehall Street (1840); Claremont House, Claremont Terrace (1835); Woodlands Terrace, Woodlands (1849); McDonald Muslin Warehouses, 120-34 Queen Street (1854, dem. c.1960s); and the Gothic mansion Urie, Kincardineshire (1855). His buildings with sculpture and carverwork are rare; surviving examples being the Offices, 64-6 Buchanan Street (1851), and the Tobacco Warehouse, 41-5 James Watt Street, which features a now badly eroded Royal Arms group by John Mossman (1854). 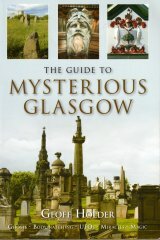 In 1828, Baird was appointed by the Merchants' House to collaborate with David Hamilton in devising the layout of the Necropolis, Glasgow's finest cemetery, but after their plans were shelved he was relegated to an advisory role in approving George Milne as its eventual designer. In 1853 he was responsible for the design of the pink granite sarcophagus for James Ewing of Strathleven in the Necropolis, which featured four bronze relief panels by Mossman (reliefs removed, c.1970s). Baird�s most important contribution to the city�s architecture was his pioneering use of cast iron in his buildings� construction; the earliest use of which was for the roof trusses in the Argyll Arcade, 28-32 Buchanan Street (1827). His greatest achievement was the Italianate, Iron Building, 36 Jamaica Street, Glasgow, which was built in collaboration with the iron-founder Robert McConnell, who held the patent for the malleable ironwork used for its facades (1856, known as Gardner�s Warehouse). Another of Baird�s projects, the Prince of Wales Buildings, 34-54 Buchanan Street (1840-54), has become celebrated as Glasgow�s most fashionable shopping mall since its conversion into Prince�s Square in 1987-90, and now features a magnificent Peacock sculpture on its fa�ade, and decorative ironwork in its interior by Alan Dawson. Baird�s largest single project in Glasgow, and one which would have become the city�s finest landmark building, was his Jacobean design for the new University of Glasgow on Woodlands Hill overlooking Kelvingrove Park (1846), but this was aborted after the land was purchased for the building of Park Terrace and Circus, and new plans were commissioned from Sir George Gilbert Scott for the present Gothic building on Gilmorehill in the 1860s. Baird�s magnificent design for the university is illustrated and discussed in Gordon Urquhart�s Along Great Western Road (2000, pp. 64-5). Baird suffered from brain disease in later life, and most of the firm�s designs from c.1855 are attributed to his assistant and future partner, James Thomson. Another of Baird�s pupils was Alexander 'Greek' Thomson , who worked as his chief draughtsman from 1845-9, until he left to set up his own legendary practice. Baird was a Freemason, attending the Lodge Glasgow St John No. 3., together with most of Glasgow�s important architects and sculptors of the day. He designed the lodge�s throne, which featured sphinxes carved by John Mossman. A portrait of Baird, by Sir Daniel Macnee, in the collection of Glasgow Museums and Art Galleries, was reproduced in the book Memoirs and Portraits of One Hundred Glasgow Men, by James MacLehose, in 1886. According to most commentators, the portrait confirms Thomas Gildard's description of him as 'a large well-built man' who possessed '� a presence of one that ought to be in authority'. Residing at Westfield, Partick, he died there on 18 December 1859, and was buried in Glasgow Necropolis (Section: Sigma, lair 84). His modest, grey granite monument was produced by J & G Mossman . After his death, his practice was continued by James Thomson and his sons and successors until the 1940s, as Baird & Thomson, at 150 Holland Street. Foreman (2002), pp. 132-4 (ill.).